I'm not sure whether graduated fellas or my other friends encounter this. Apparently me and my bestie, Ju had these wonderful moments while we returned to college as level 3 students. Hello! We are not Google ok? We are not book writers either. 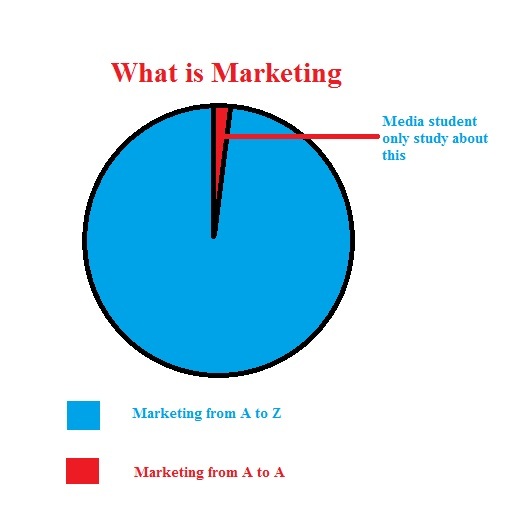 Even the book writers could not possible to cover every aspect of Marketing and you think we, as Media students can understand every Marketing term you mentioned. Please too, your dramatic gestures forced us to have nightmares so show them to someone else, thank you. Aren't suppose Media students handling more practical works than writing essays in the exam? Aren't suppose Media students have more exposure and internships instead of providing imaginary scenes in the exam? Aren't suppose Media students have more first hand experience throughout the events rather than studying in a super duper cold room? 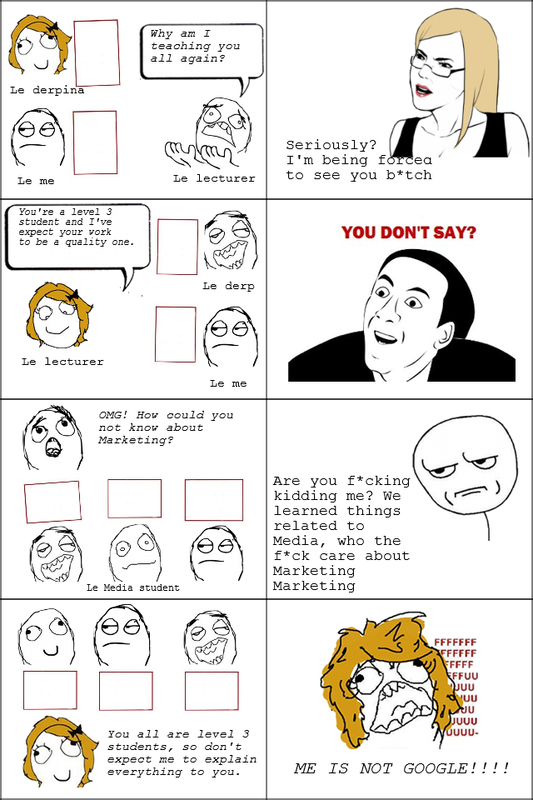 but y am i attending MKTG class?!!!! !